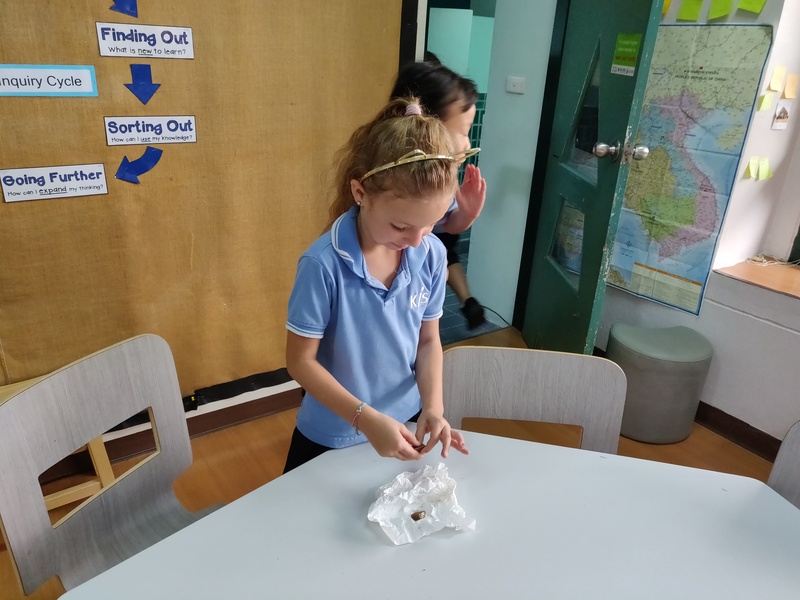 Last week we did our provocation for our new unit, Matter Changes. 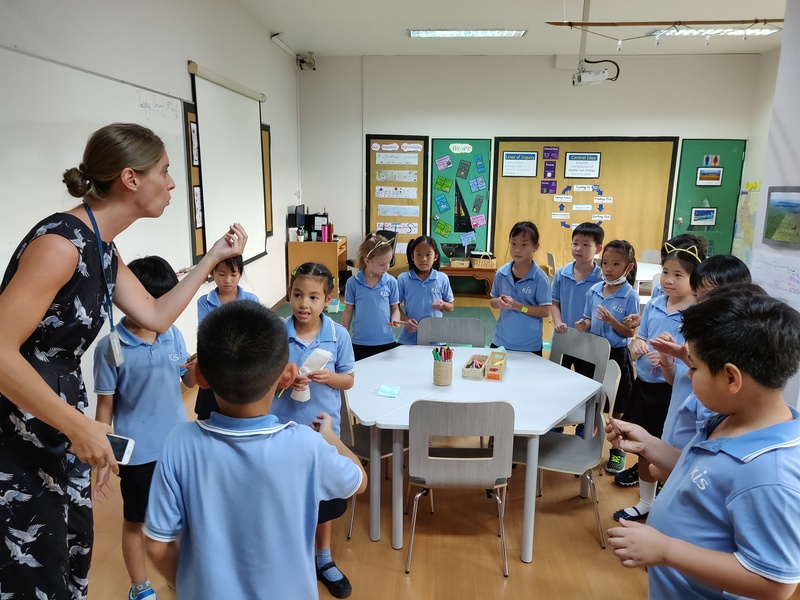 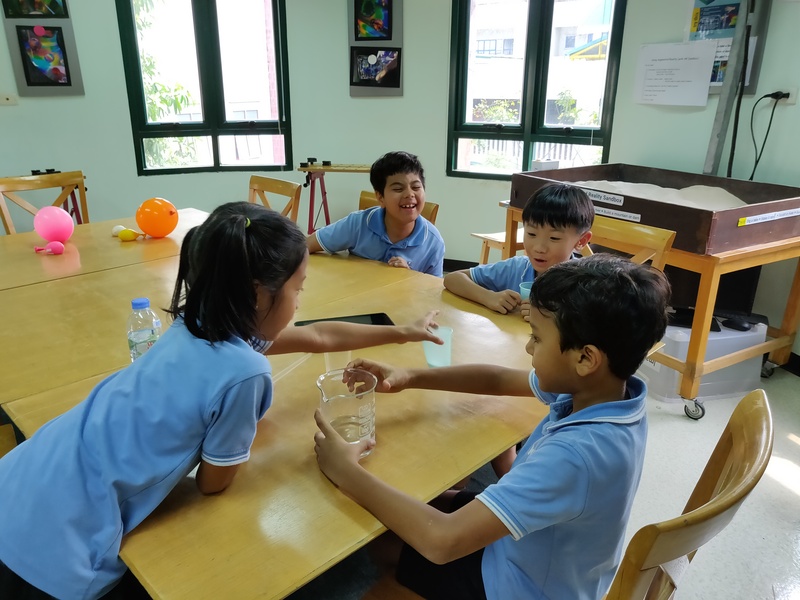 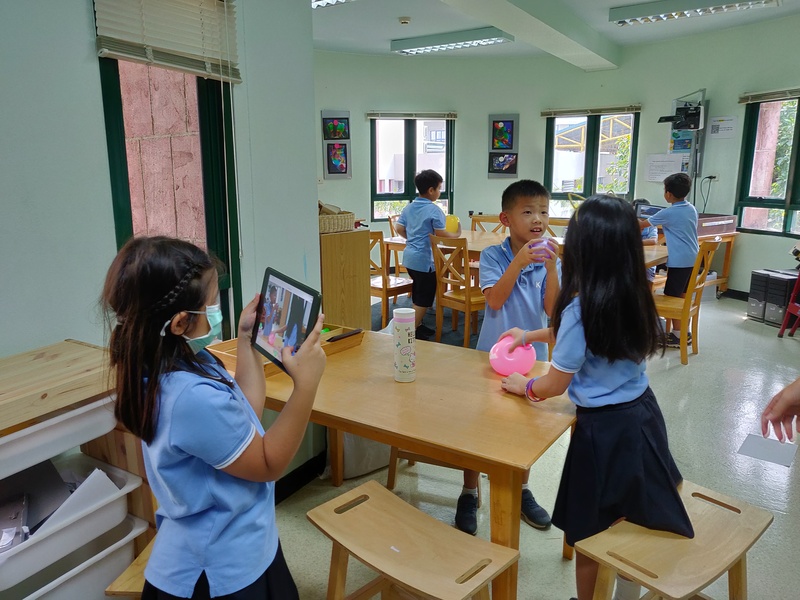 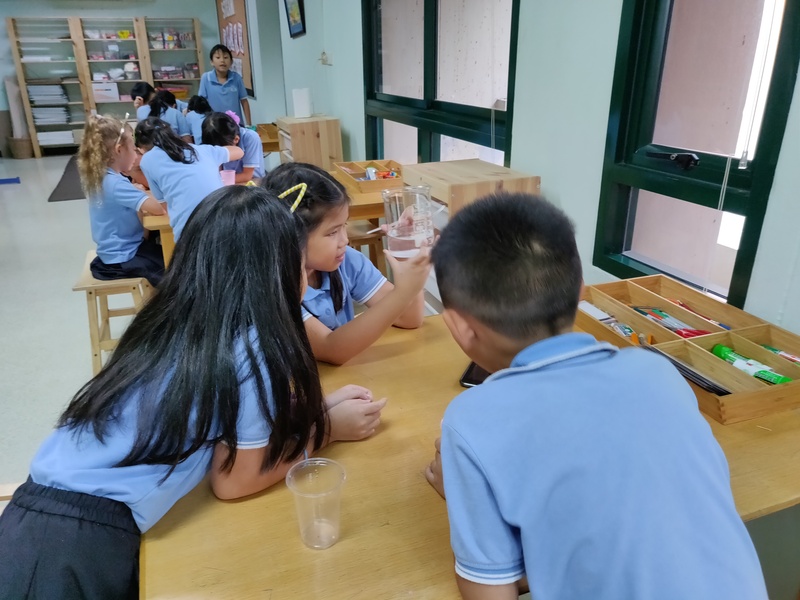 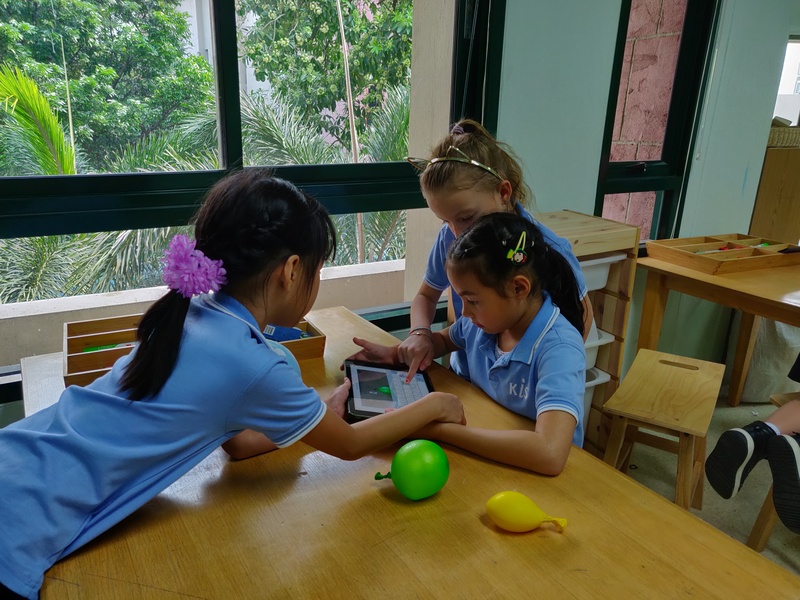 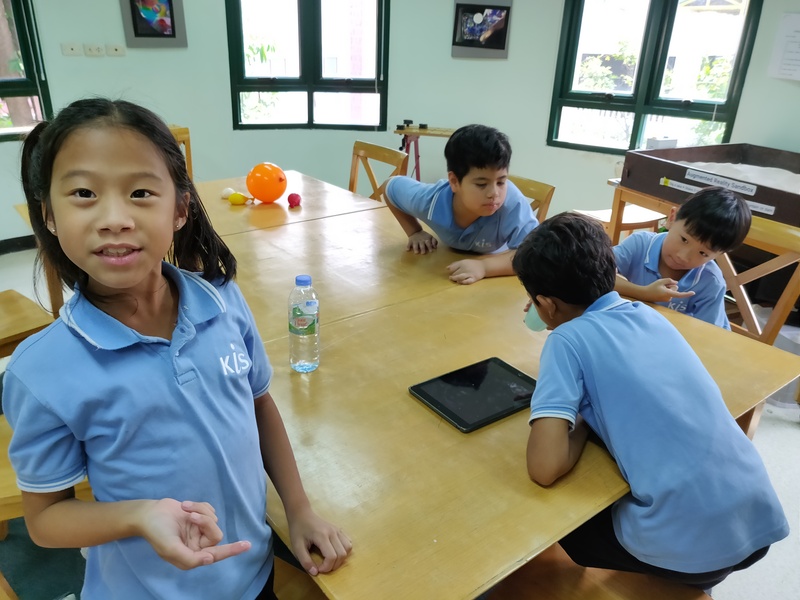 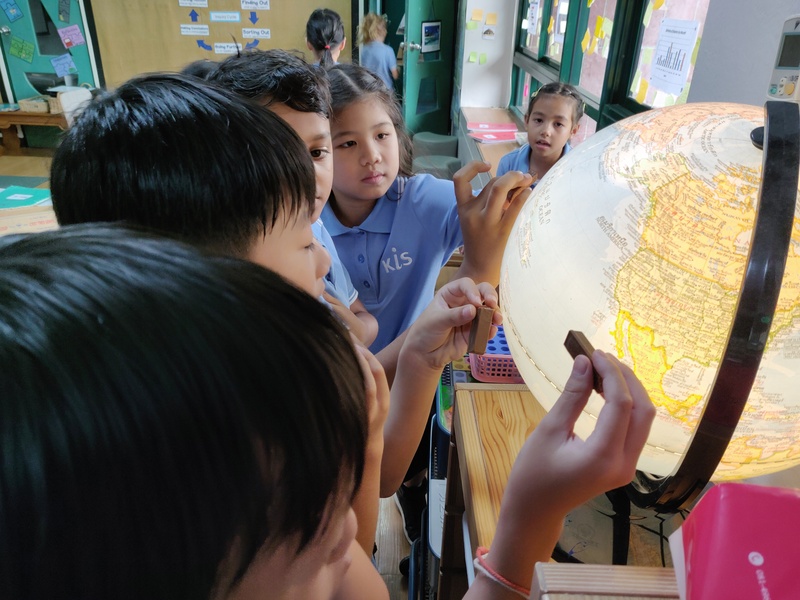 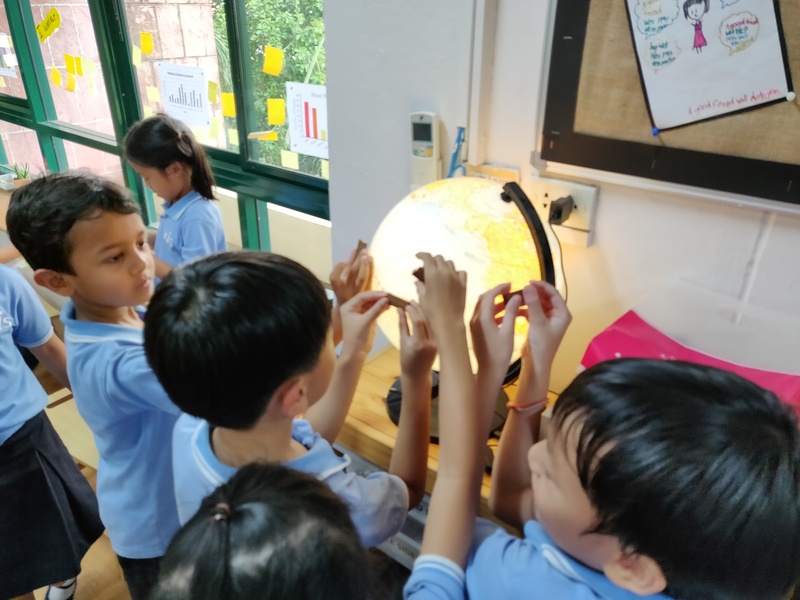 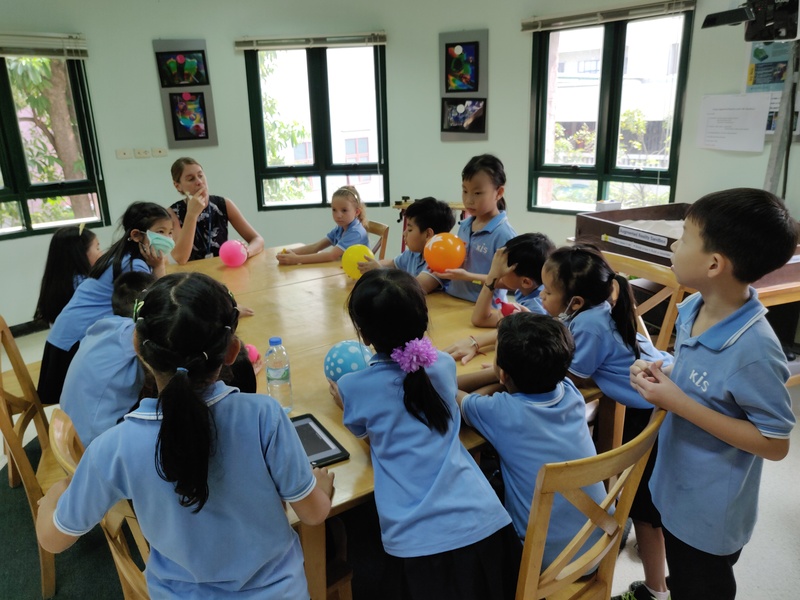 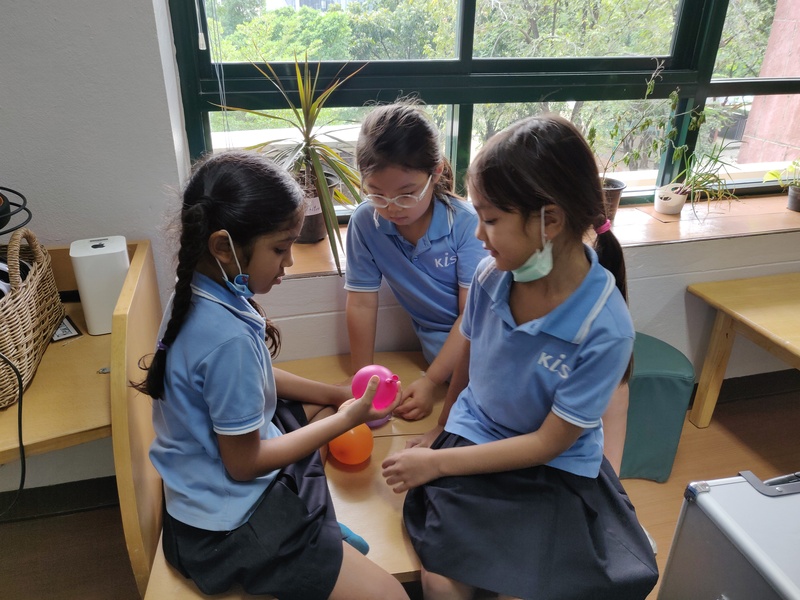 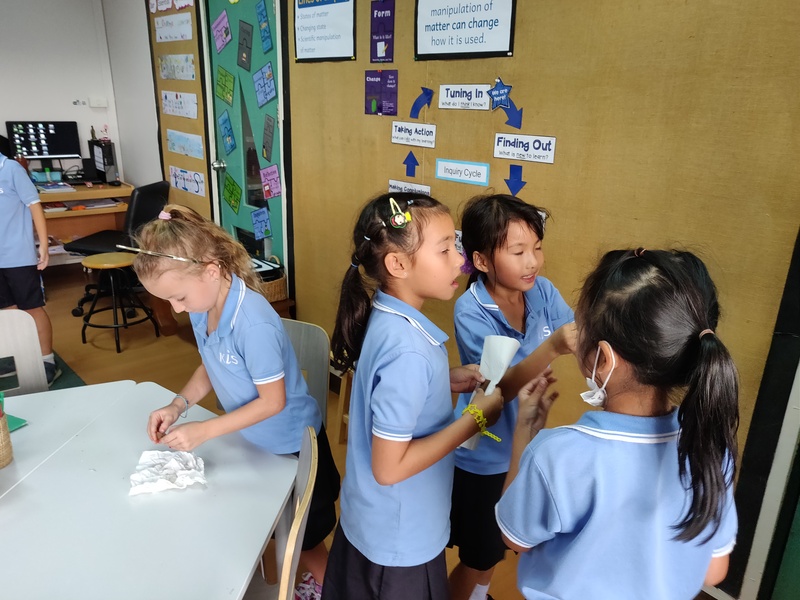 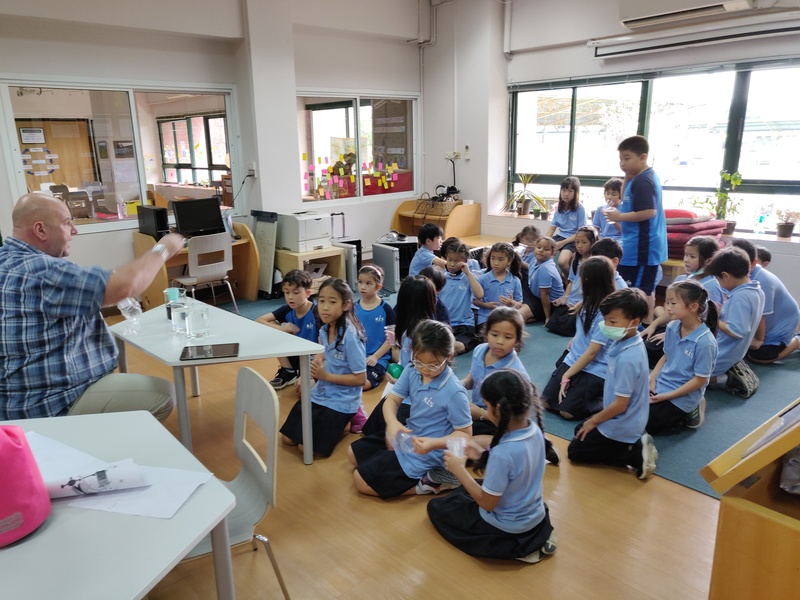 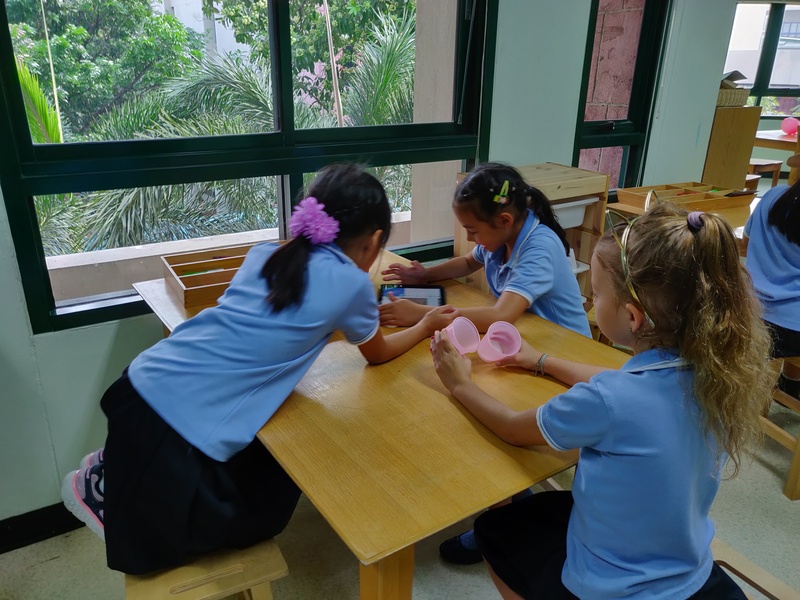 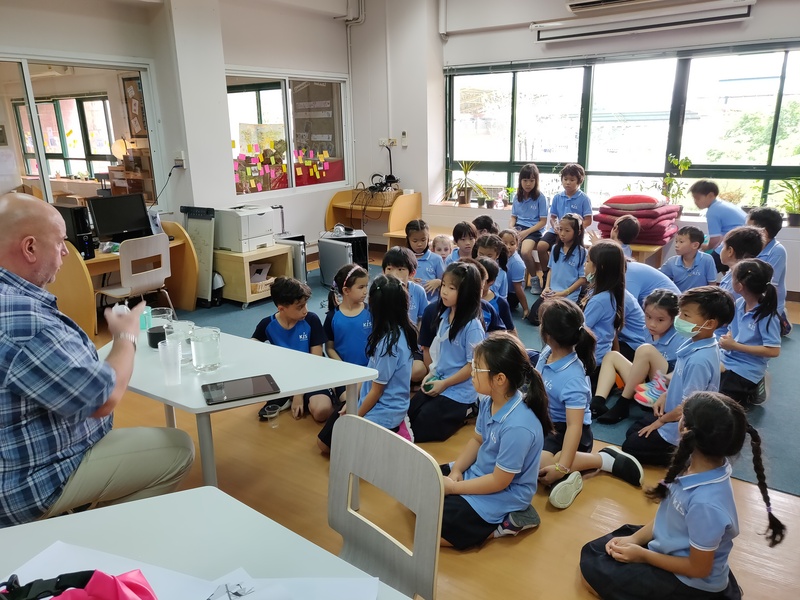 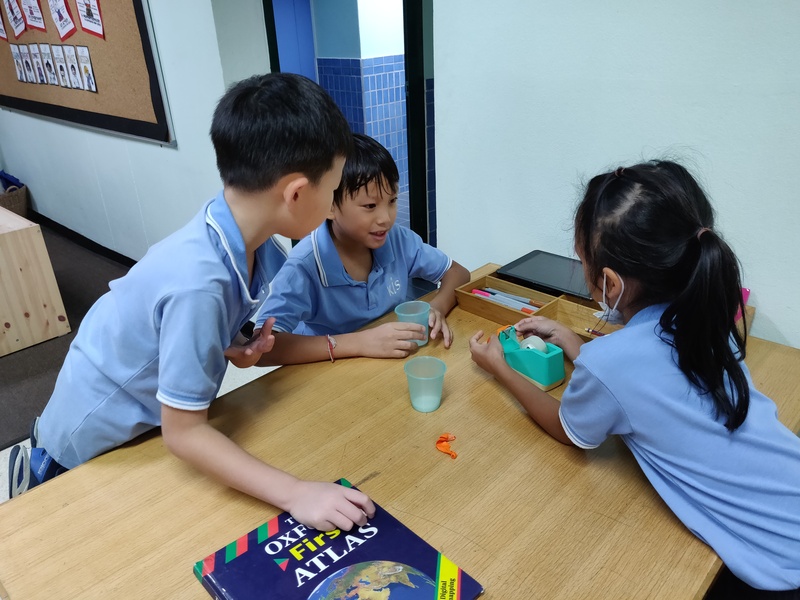 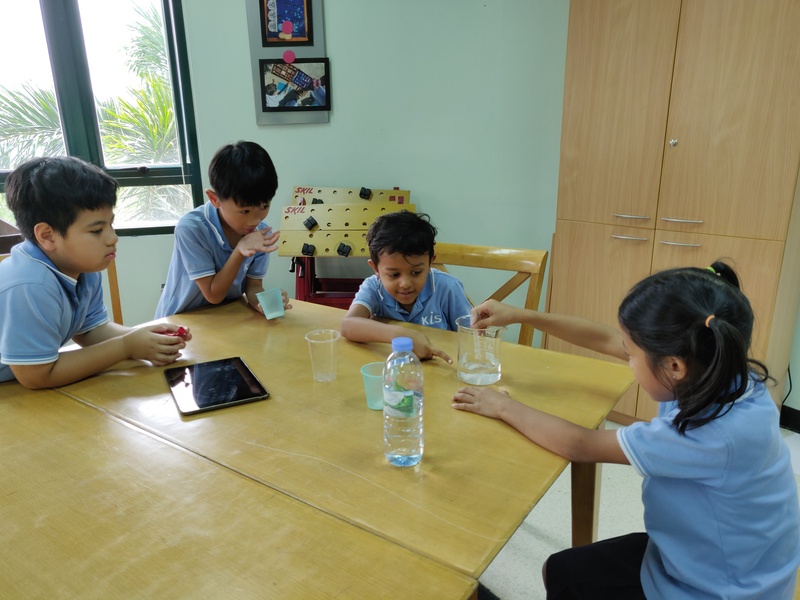 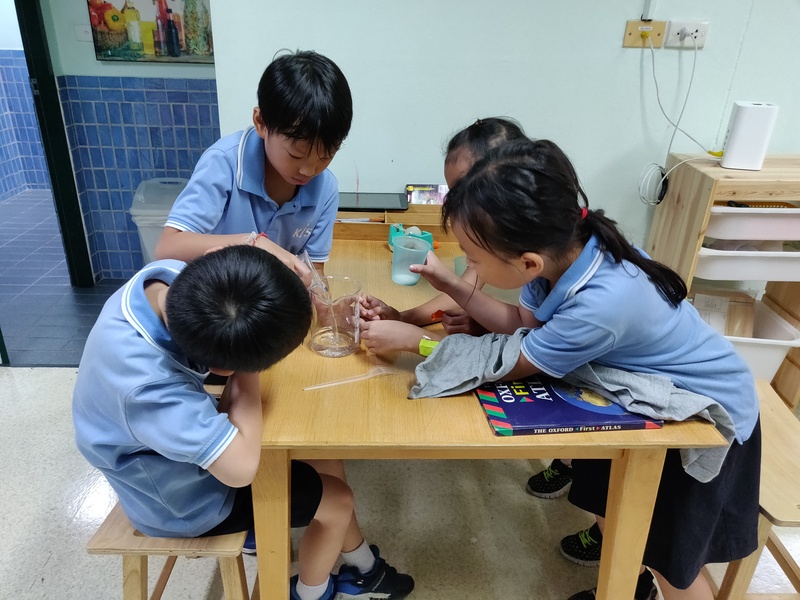 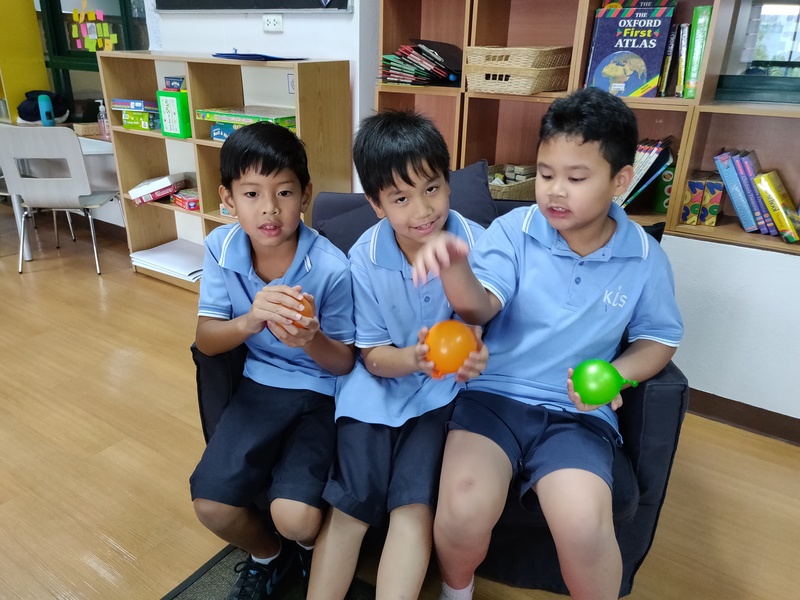 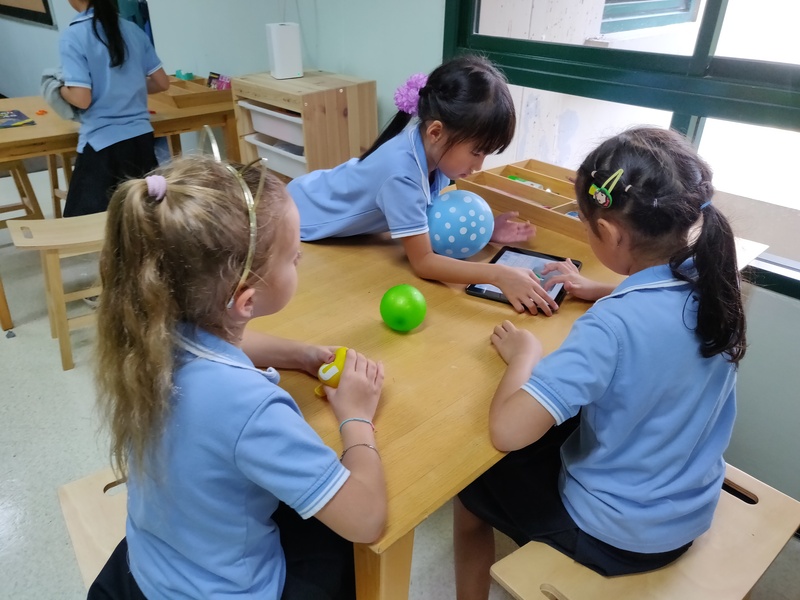 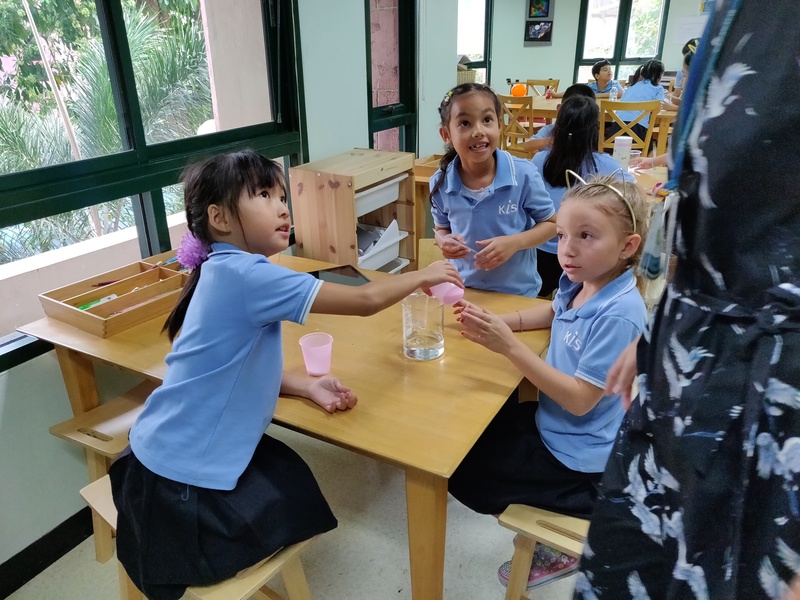 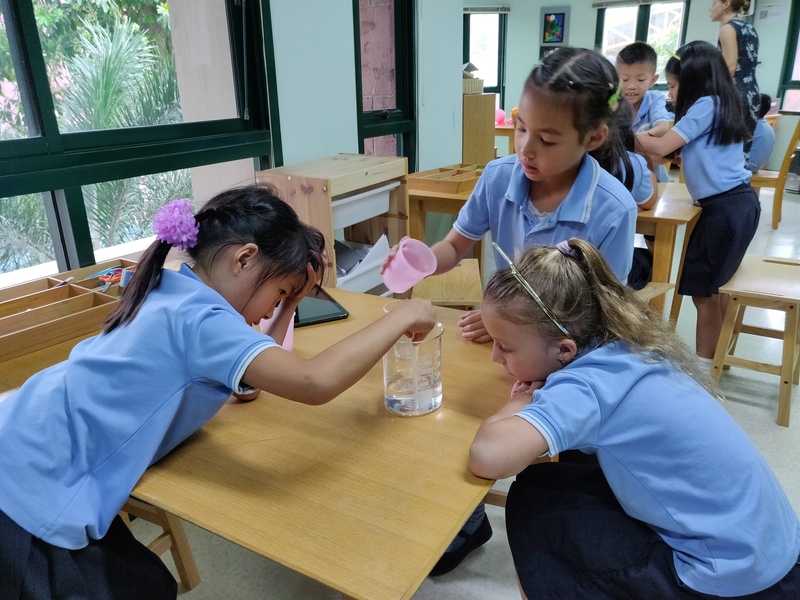 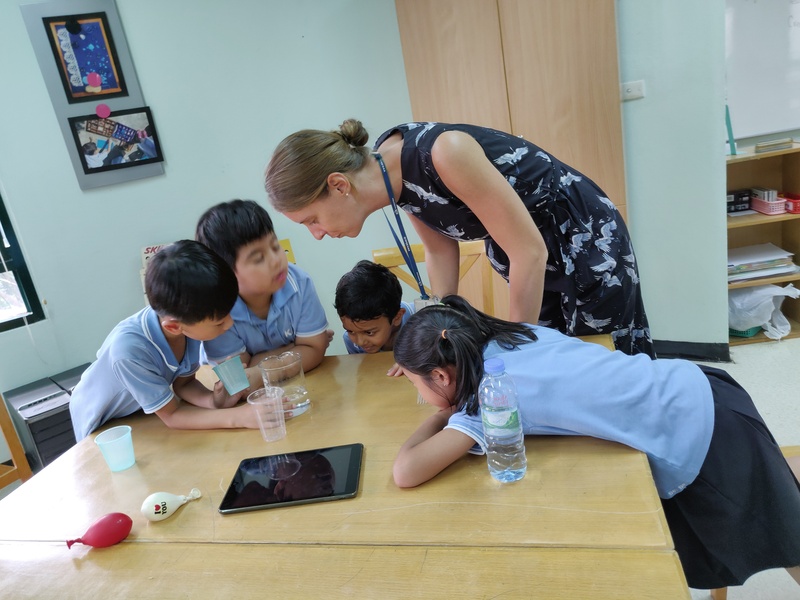 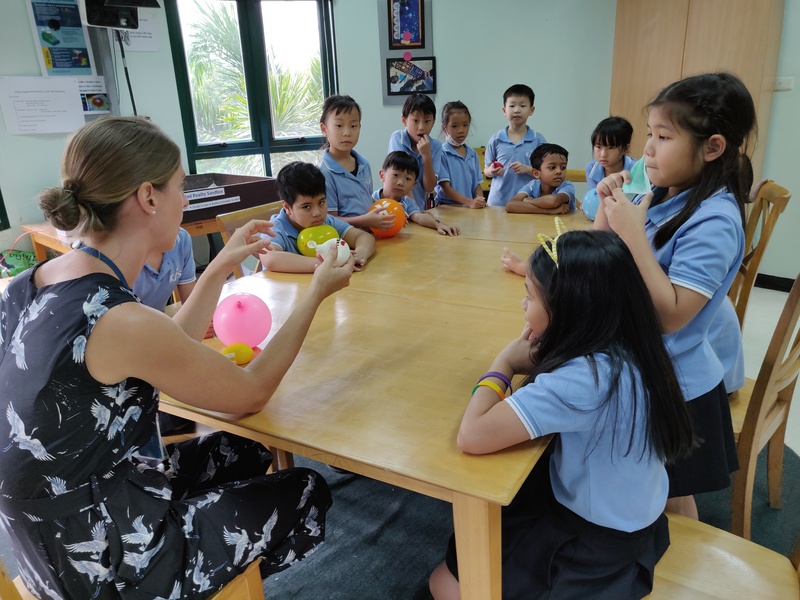 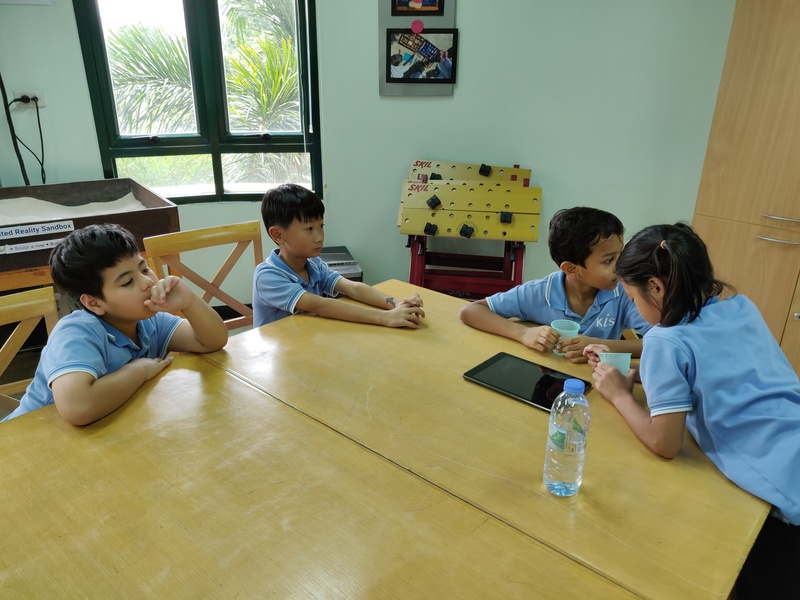 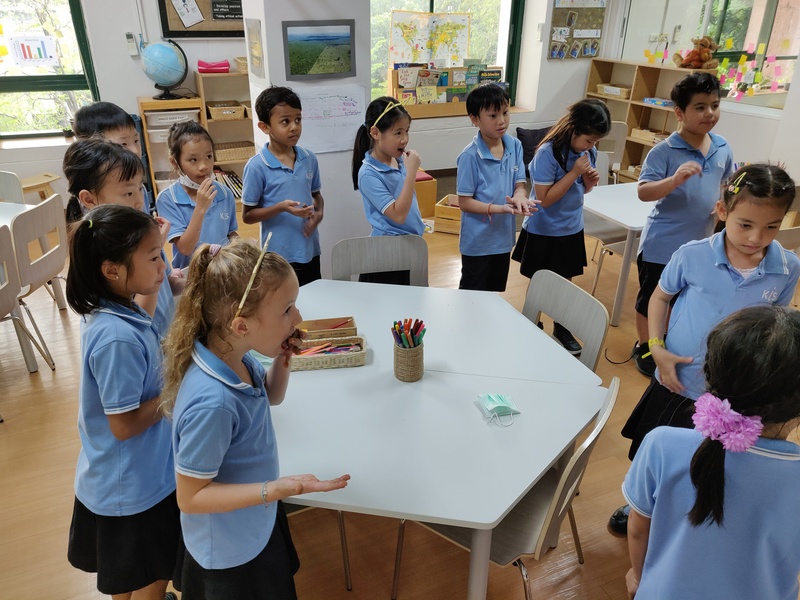 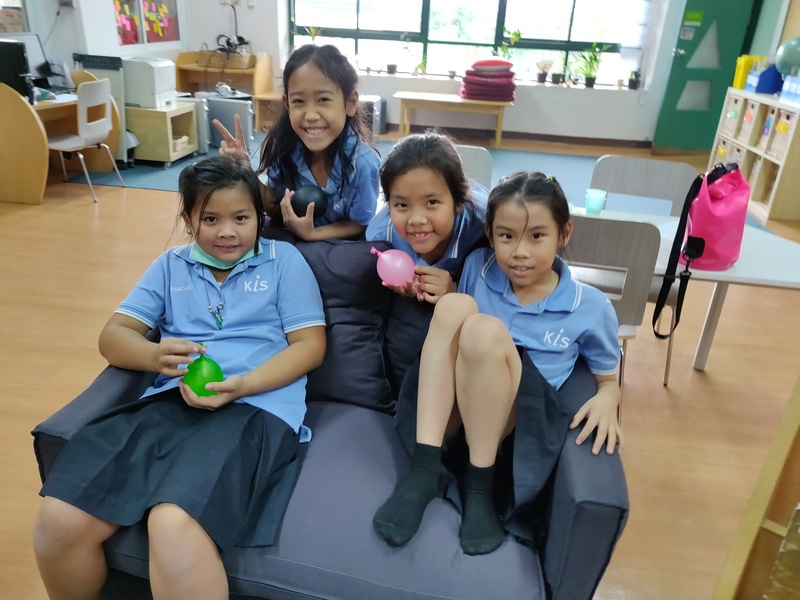 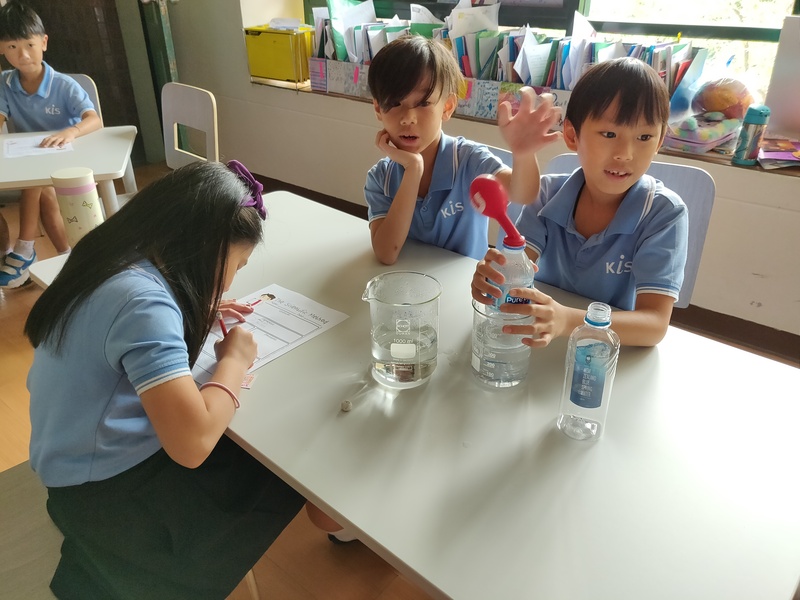 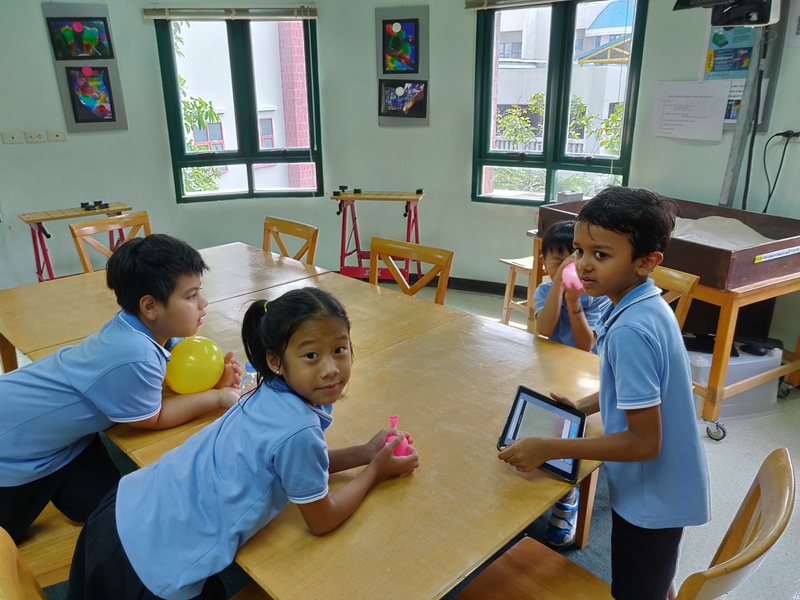 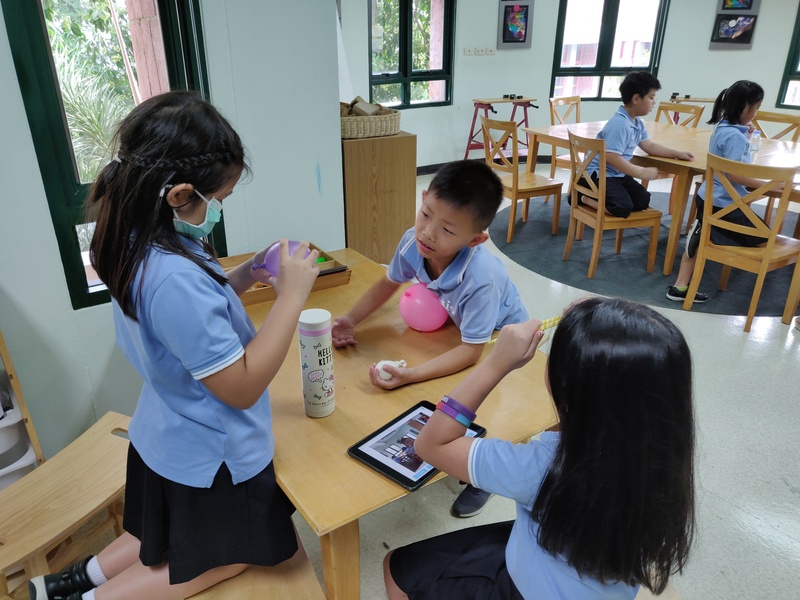 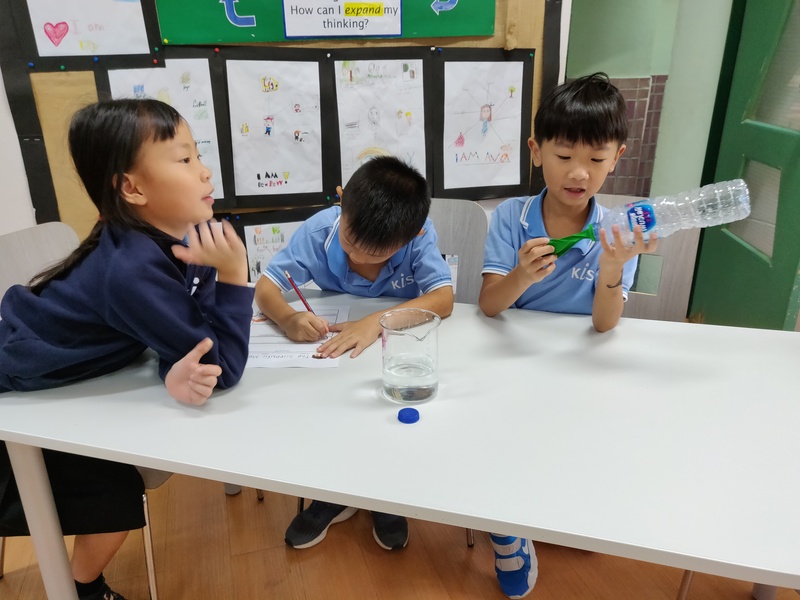 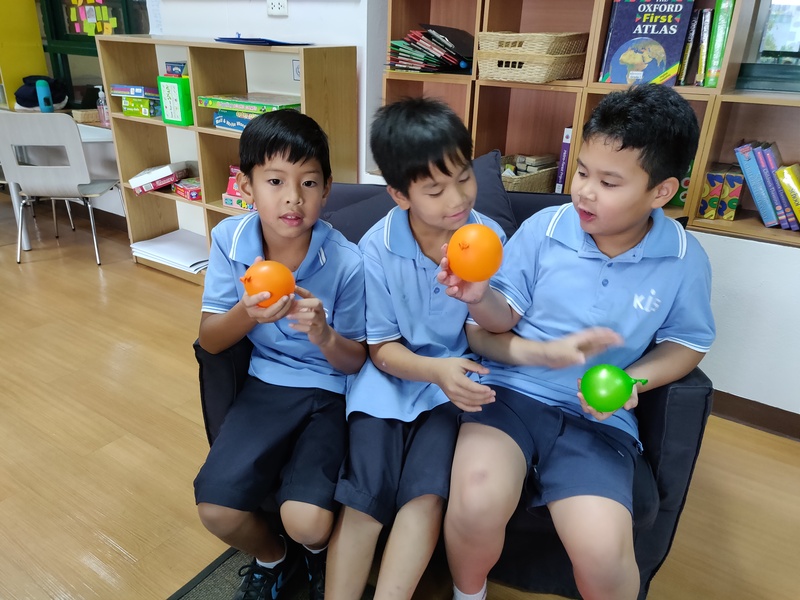 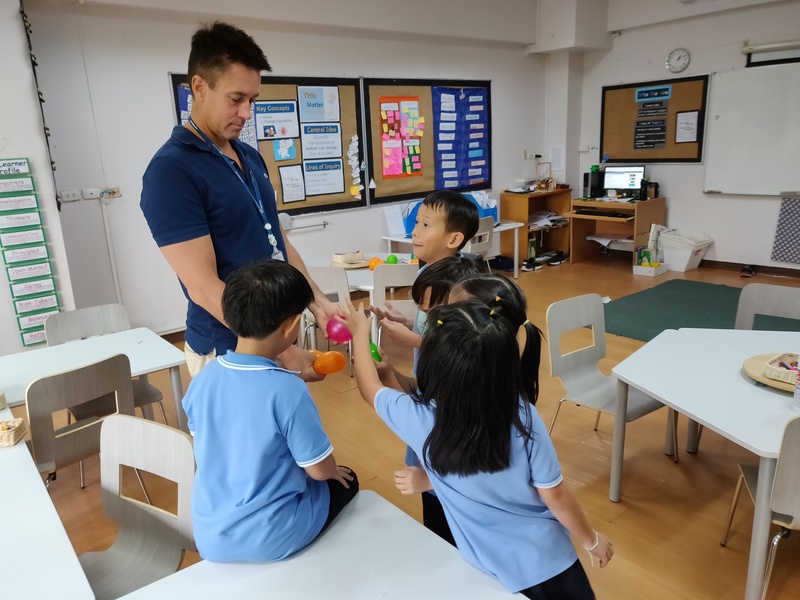 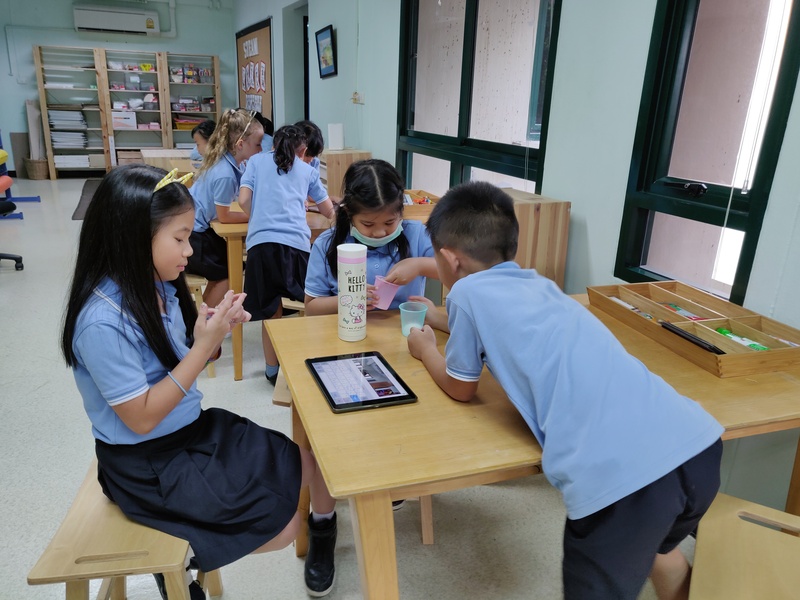 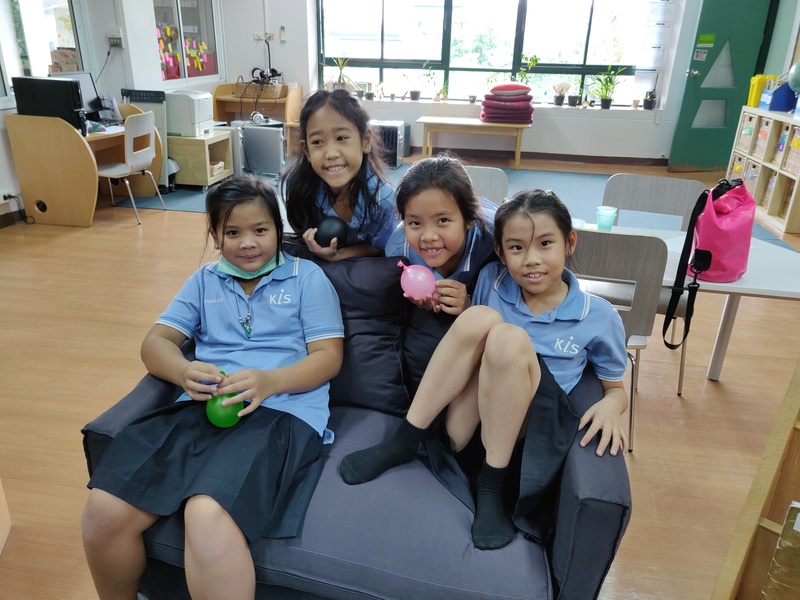 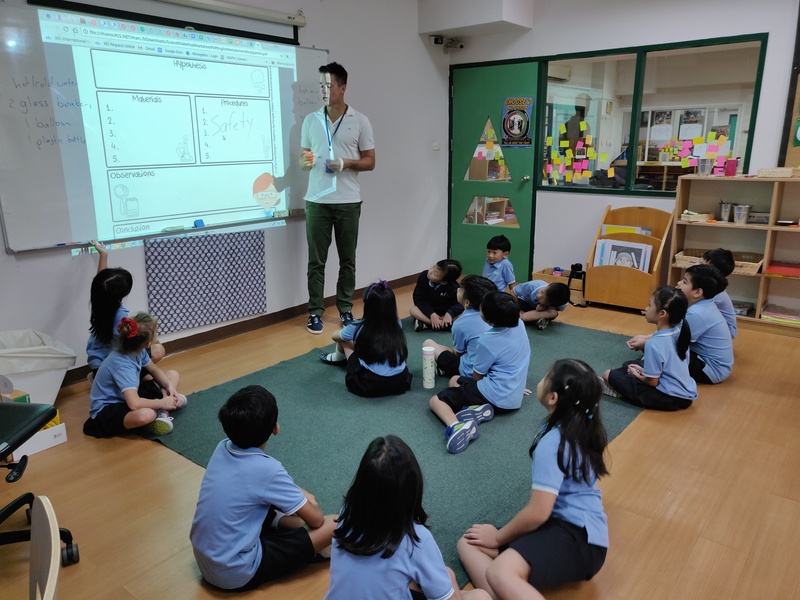 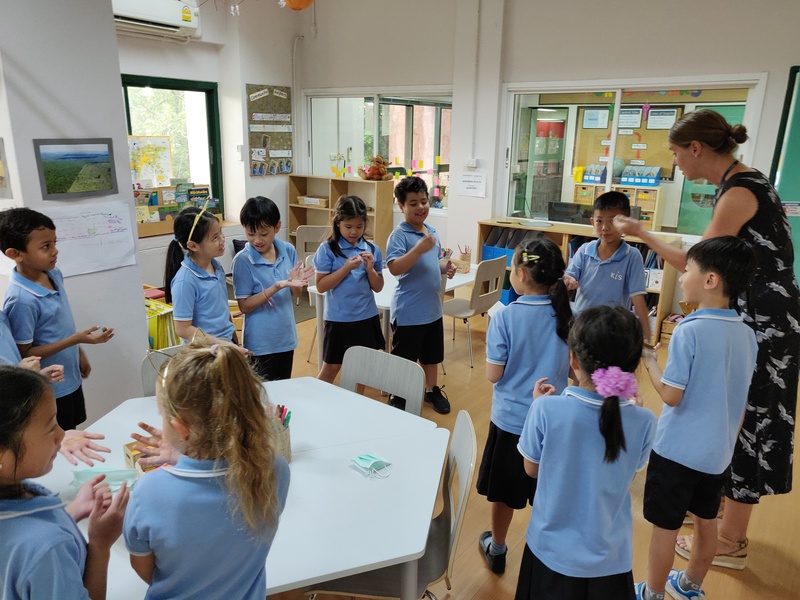 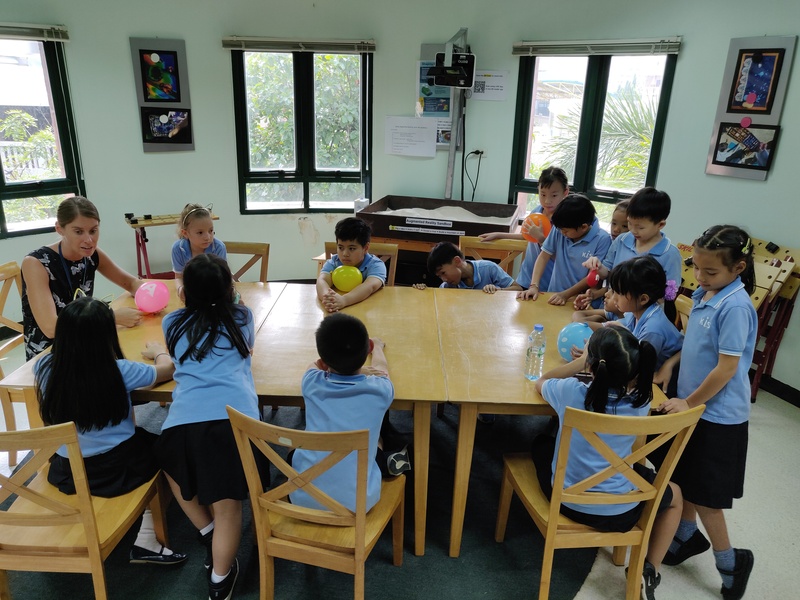 The students were given three balloons to examine, one filled with air, one with water, and one with ice, and they shared and discussed their observations with one another. 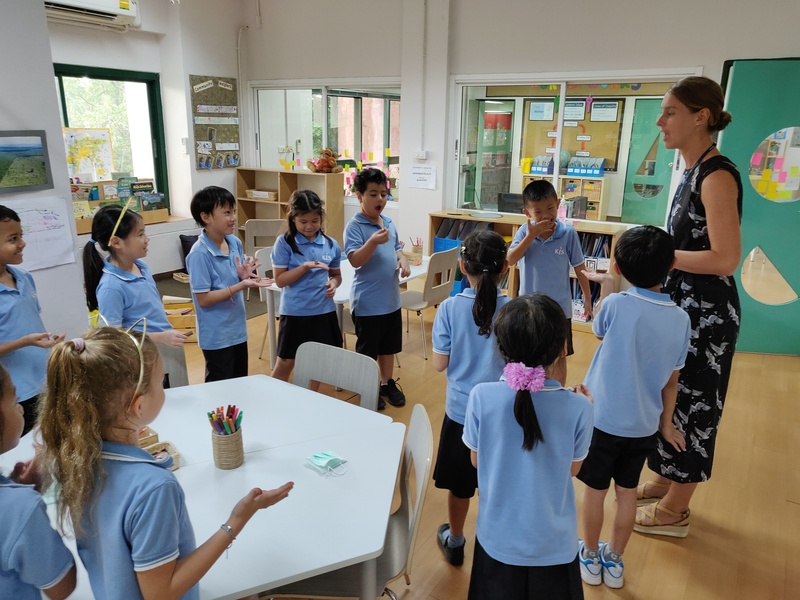 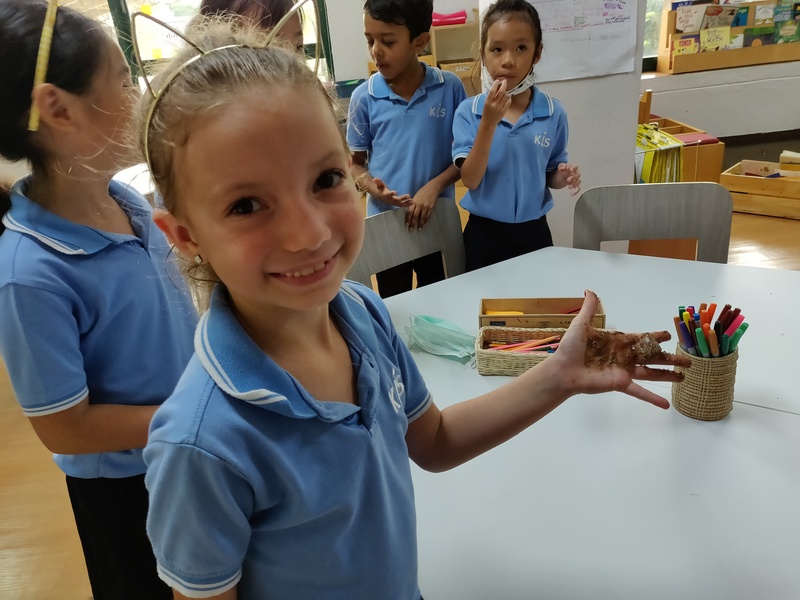 The students were also given a piece of chocolate which they had to hold in their hands until it melted. 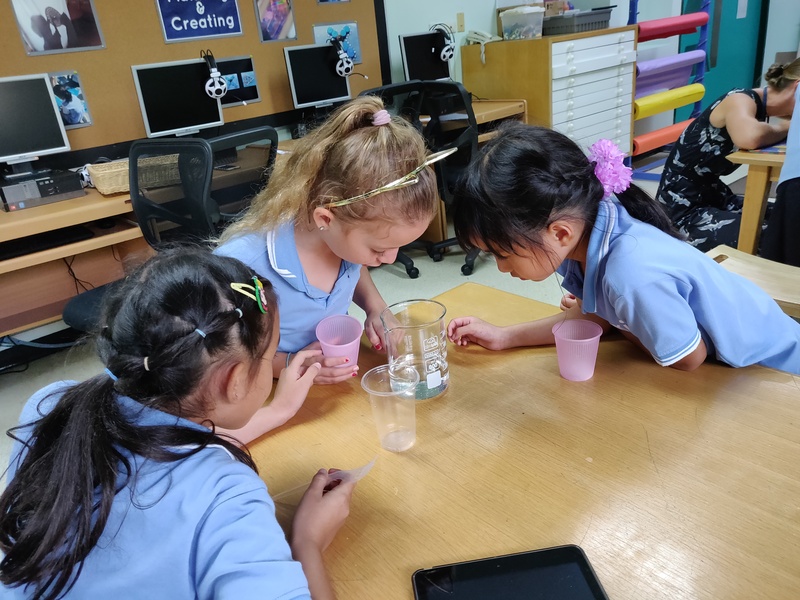 This provocation led them to understand how our next unit is about States of Matter, and the different changes that can occur. 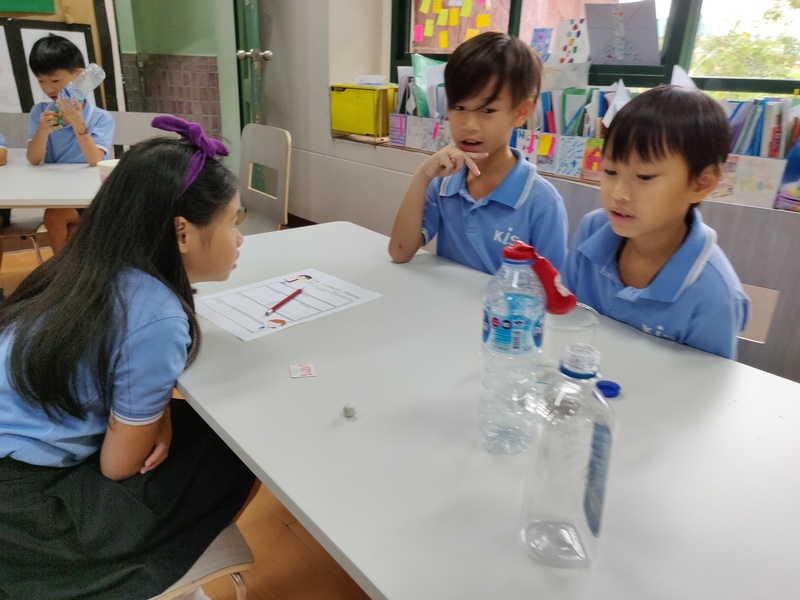 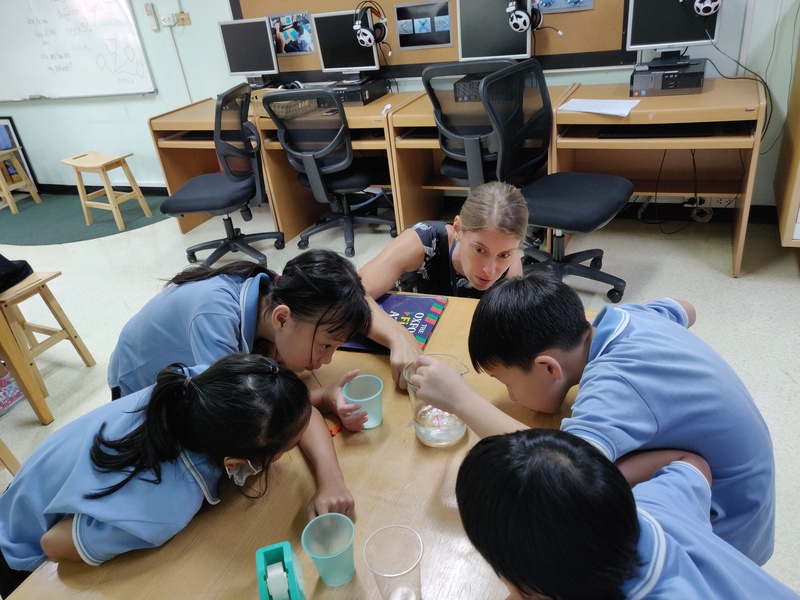 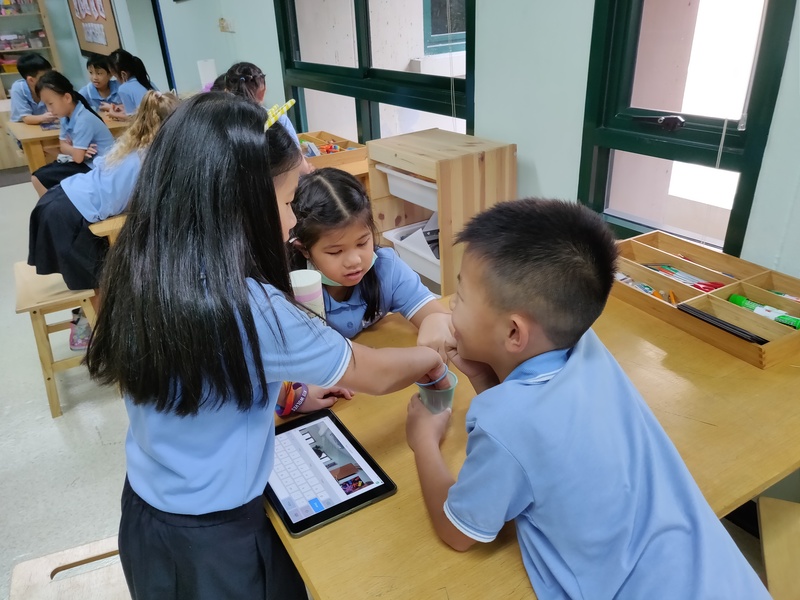 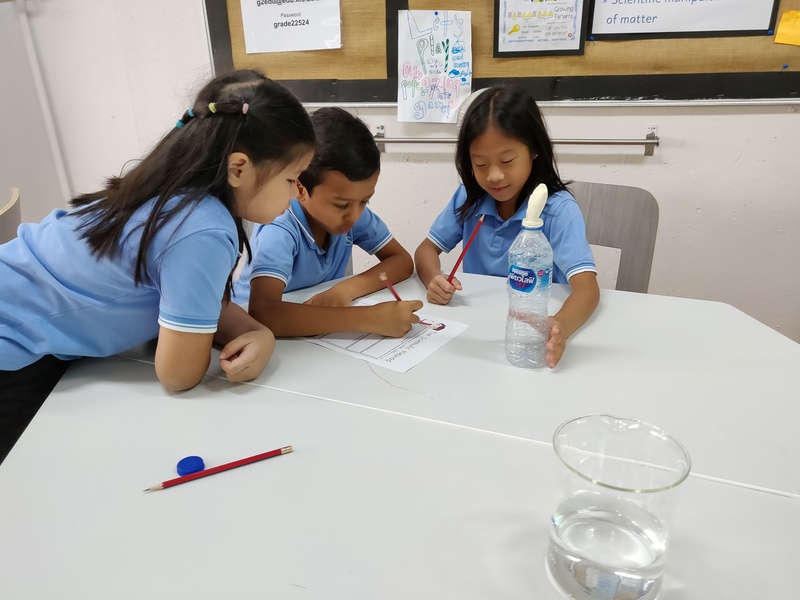 On Friday, the students were introduced to the scientific method, where they need to come up with a hypothesis before doing an experiment, and then they have to write down what they observe and what they learned. 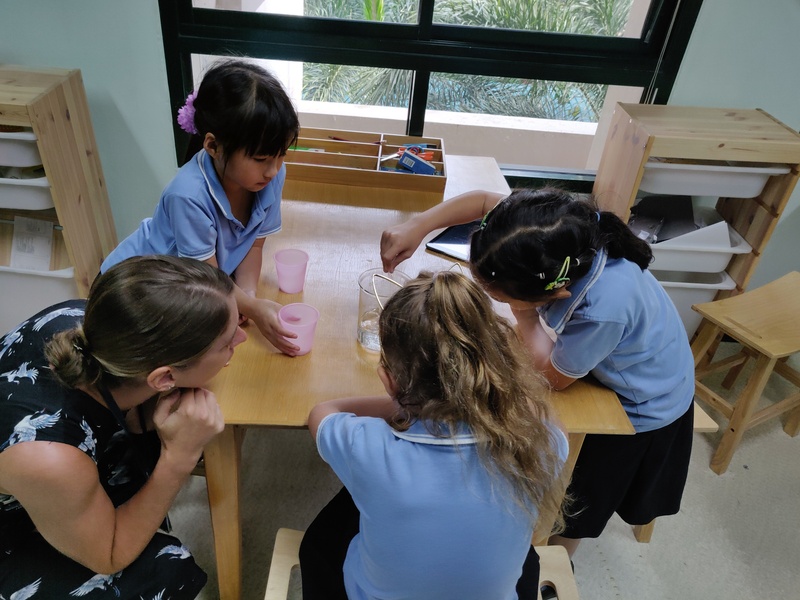 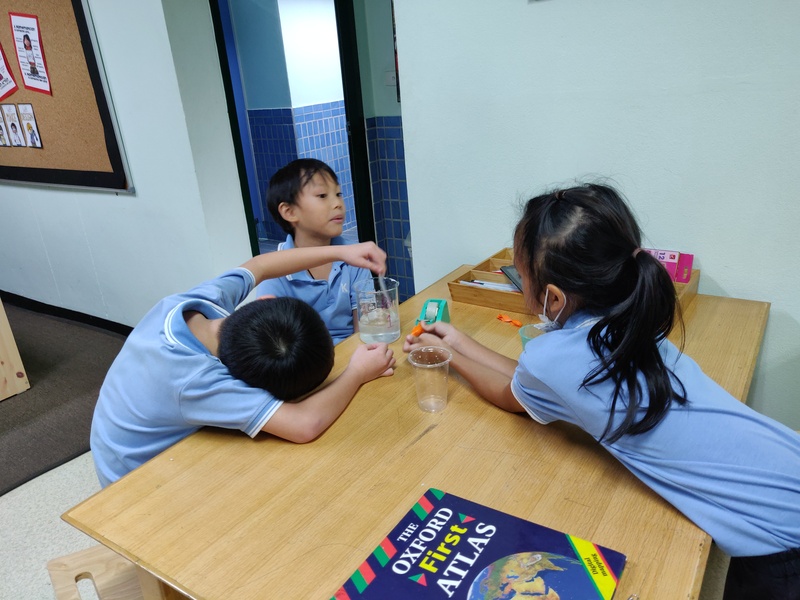 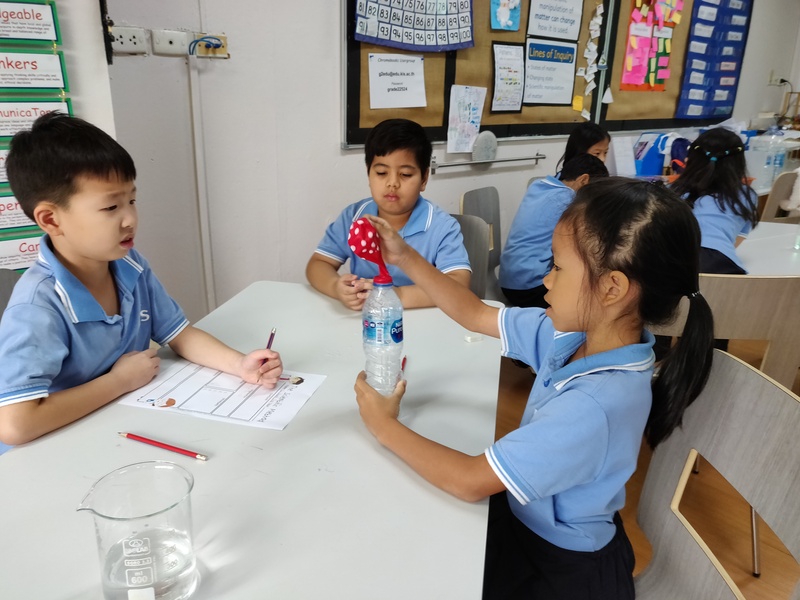 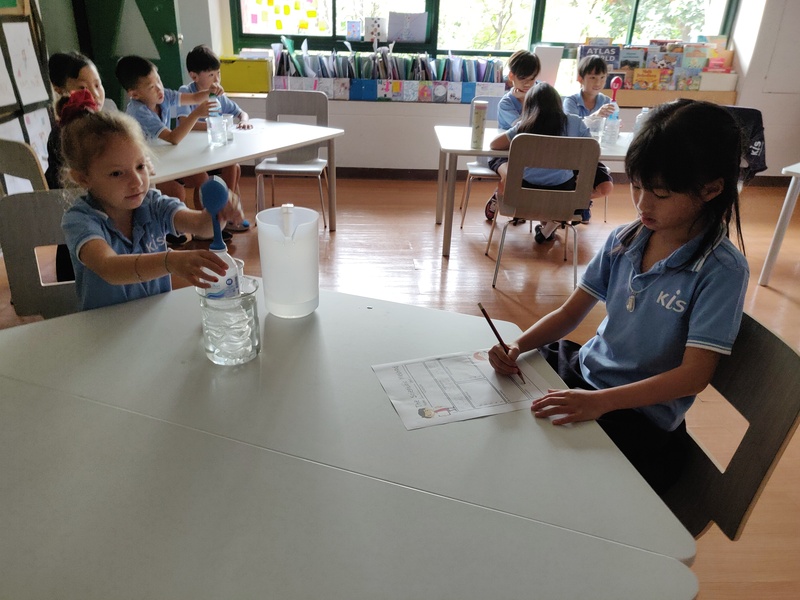 This week, we had two beakers, one with cold water and the other with hot water, and a plastic bottle with a balloon attached to the top of it. 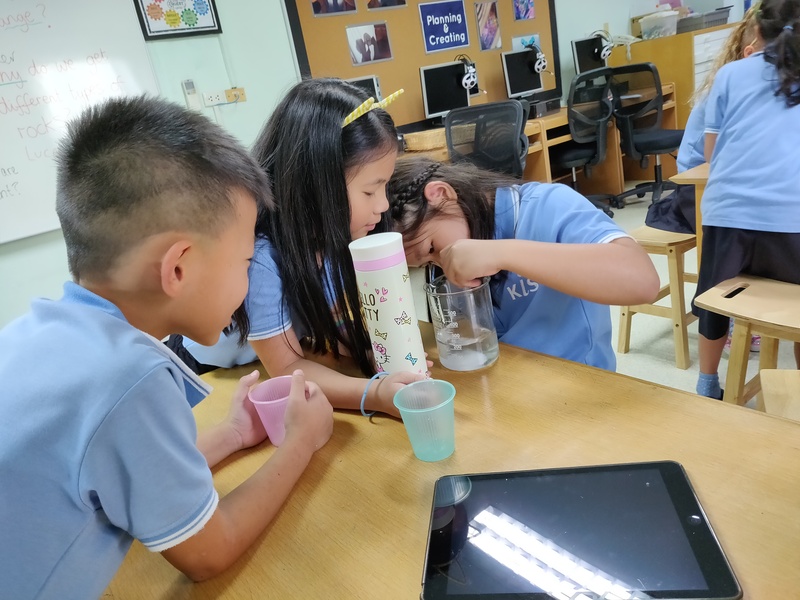 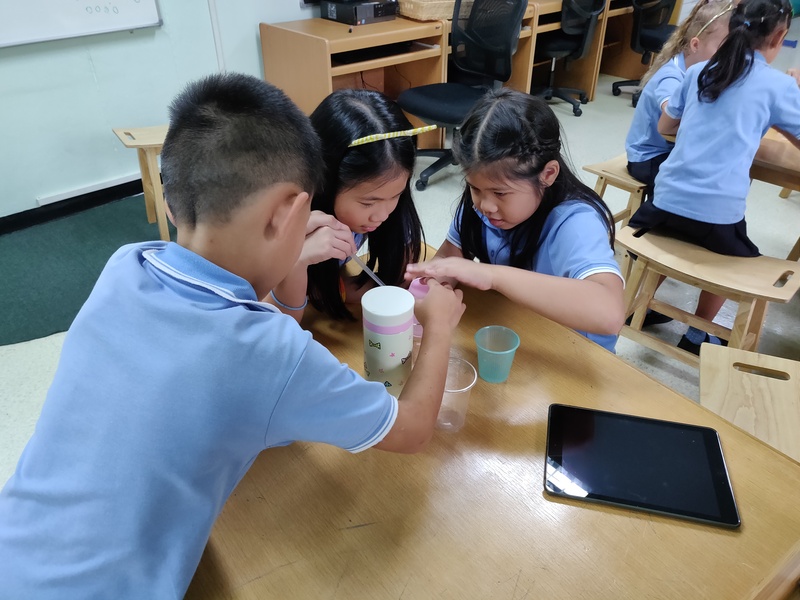 The students then put the bottle into each beaker and recorded what happened. 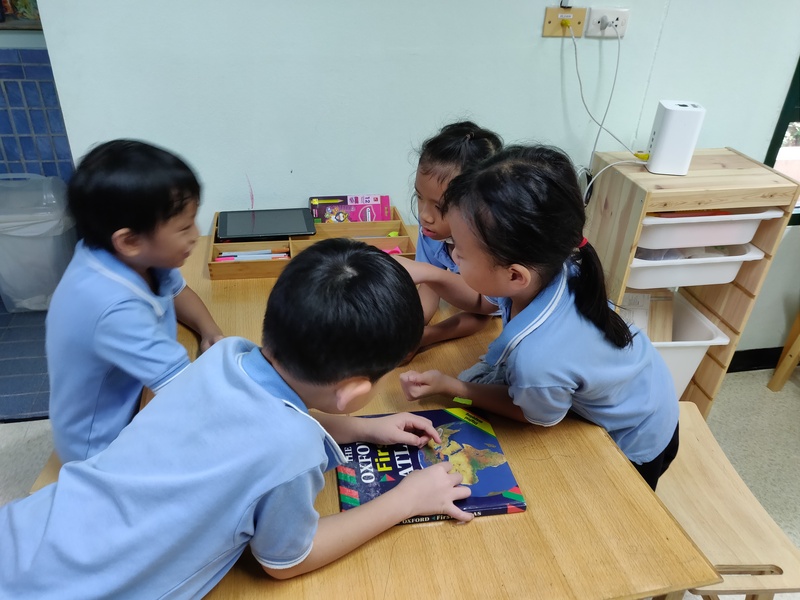 In Language Arts, the students were introduced to poetry and they spent most of the week reading and analyzing different kinds of poems. 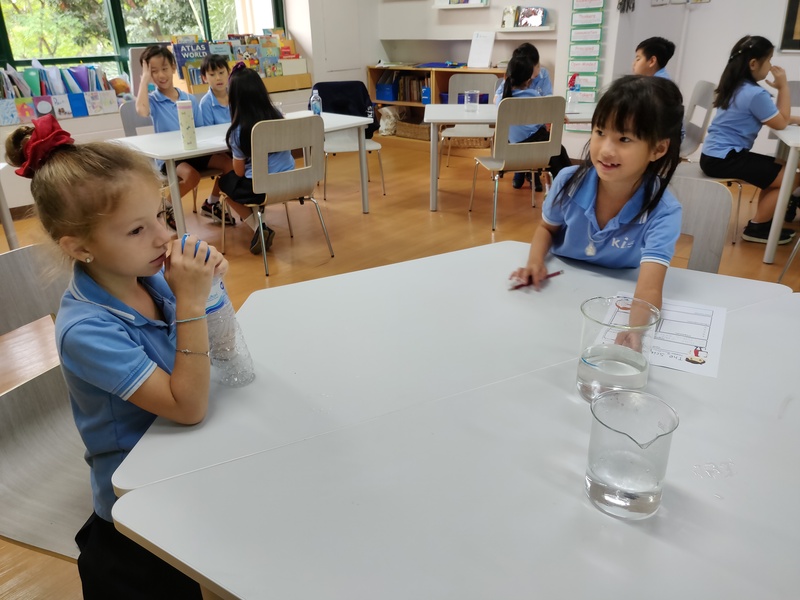 They also researched different scientists and wrote about what kind of scientist they would like to learn more about. 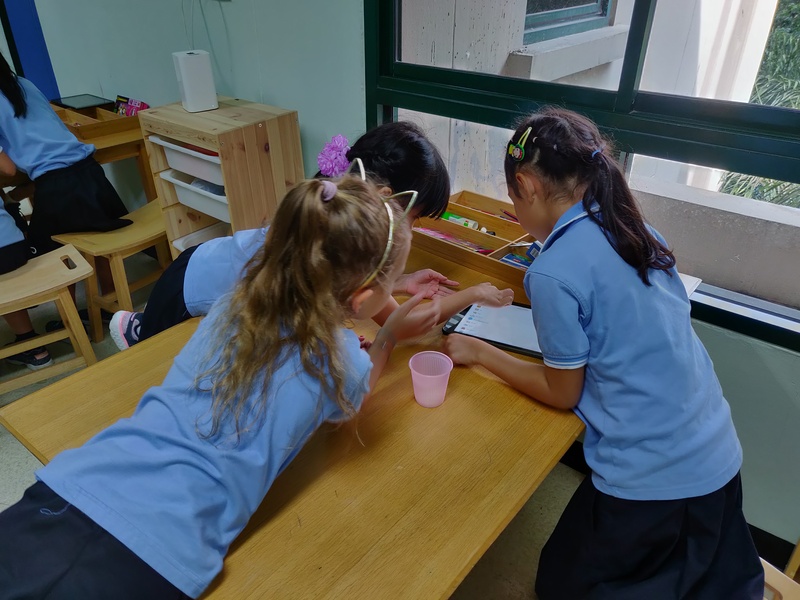 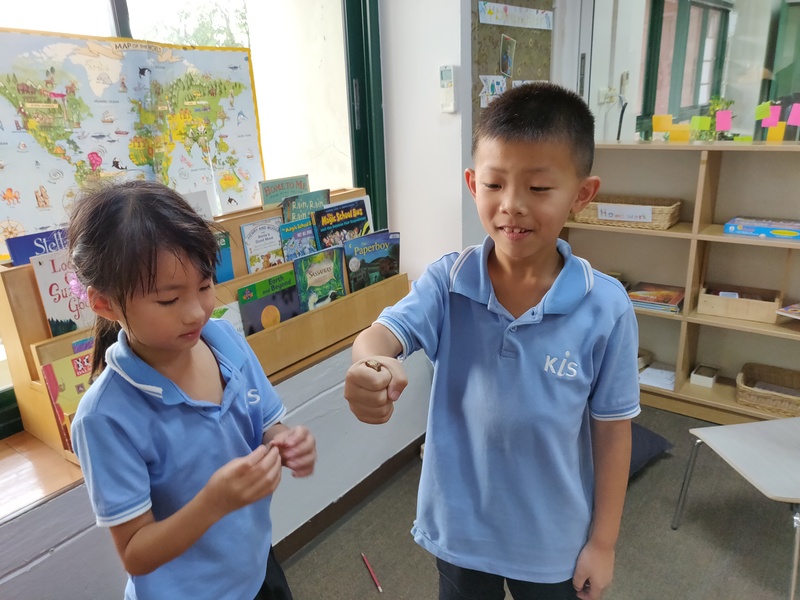 In Math, the students developed a deeper understanding of measurement, and how it can be used to measure any object.